As per my usual when writing build descriptions, this one’s going to be long. Judging by how much I want to say… buckle up for this joyride. A long time ago, in a galaxy far far away A few years ago (I think it’s been 3 years now), I met someone named Rocko at an after school club called C3. The club finally concluded at the end of the school year, and I was really sad about it. Not because I was afraid of losing my power unable to help move the group forward in coding, but because I was not going to see my friends from the club for the next few months. This was before I was allowed to get Skype or a phone, and I hadn’t thought of getting people’s phone numbers. Oh well, I saw most of them in the following years. The following fall, I asked that teacher if she was going to start the club again, and she told me that she was working on it. Sadly, it never started again, and I believe that she has since left that school. RIP C3 2014-2014. The next year, 9th grade, I was really starting to love this hobby. I had already built two computers (both of them were very similar builds) and it was at this point that I was starting to research how much it would cost to make a computer for myself on a low budget. This was before I ever considered going with used parts. This was the first time since 7th grade that I had shared a class with Rocko since 7th grade (which wasn’t even a class) and we talked about what we had been doing since the last time we had actually talked. As it turns out, he had started to get sick of his MacBook that he was using for coding. So I asked him what budget he might have for building a computer. IIRC, he said he would have a budget of about $1000. So I made a list for him that, in hindsight, was pretty bad. In a few days, it was discovered he had been going to the wrong class the whole time. Oh well, I didn’t really talk to him much again, but I always saw him in the hallway. Then 10th grade, just this past school year, I never saw him… anywhere. I always asked everyone where he had gone. It was as if he had disappeared off the face of this earth. No one knew where he went (that or nobody cared to answer me with anything more than an “I don’t know”). About 3 weeks ago, on a Friday night, I was in a voice chat with a few of my friends on Discord. This was after the school year had ended, but I was still incredibly busy due to work at church. Right as I was about to get off the chat, I got a friend request. Now, in this voice chat there were a few people I was only vaguely familiar with, so I had thought that maybe it was just one of them adding me. I opened up the friend requests tab in Discord… and lo and behold, there was Rocko. I knew it was him because his Discord username is literally rocko(hislastname). I was extremely surprised at this, because I never thought I’d see him or talk to him ever again. I got off the voice chat, and then I started getting ready for bed whilst talking to him. I learned a few things about what had happened to him, and where he ended up going. Turns out he had to move because of a few financial issues. Anyways, we caught up on what’s been happening in each other’s lives for the past year, and then he asked me to make him a part list. After that, Sam was looking for good deals for Rocko at full capacity. He discovered some deals I didn’t realize existed, and so he ended up with a much better computer than I had planned. We created a group DM on Discord and started arguing about what the build should have in it. It went on for a nearly a week, until 2 weeks ago Thursday he finally ordered the parts. It took a long, long, long time for them all to get to his house. I think the final parts to arrive were the power supply and wifi card. They got to his house just this past Monday, and we ended up building on Tuesday, the 4th of July. This is where the fun begins. We open on the Sunday before the 4th. Rocko informs me and Sam that the remainder of the parts will be at his house on Monday. We then plan to be at his house at 10AM on Tuesday. Monday rolls around, he gets the desk and chair, and then comes a minor complication in how we were going to get there. We decided that my grandpa would drive us to his house, and then Sam’s dad would drive us home. Easy enough right? It’s 8:40AM on Tuesday. 40 minutes later than I planned to get up and get ready for Rocko’s house. I get ready to go right away, and then confirm with Sam when he’ll get to my house. He gets there at about 9:10, and we go into my room and check to make sure we have everything and are ready to go. He tells me that when flashing the Windows 10 ISO to his flash drive, his laptop died. I decided that we should reflash it with my PC so it would work. It didn’t take long to finish, and then we had to go. We get there, go downstairs to where all the parts are, and start the building process. Everything was very easy to begin with – we did a quick POST test with just the CPU, CPU cooler, motherboard, RAM, GPU, and power supply, and then we took that test system apart. It was a little hard getting standoffs in because we had to push some of them in while screwing them in. I also found out that day that I do have a magnetic screwdriver. Sadly, it’s not the one I like to use. Oh well. We almost forgot to put the IO shield in, but before we put any screws in we remembered it. 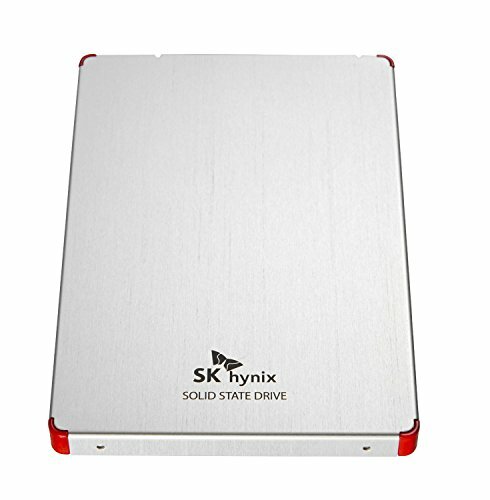 We installed the hard drive and SSD really easily, nothing interesting about it. The thumb screws for the power supply and SSD tray on the Mini C seemed poorly designed, since when we tried to put them in, they wouldn’t line up properly with the holes they’re supposed to go in. We finally did get them to go in after a little while, but it was an annoyance that took more time than we would’ve liked. We started cable management, which was really simple. An issue that we ran into, though, was the hole for what is, with most motherboards, the HD audio connector. It’s not wide enough with the power supply installed to route it through. That was a minor issue though, since there was another one next to it that was big enough. We installed the GPU and wifi adapter, and then we were good to go. We were on a time crunch, as I needed to be on the way home by 3PM. We finished building at around 12:30PM, so we thought we had nothing to worry about. We turned it on. Everything was totally fine, so we installed Windows 10. While it’s installing, we go to eat some lunch (mmm Subway). We get back, and that’s when things start going wrong. Prior to this, I had downloaded almost everything that he would need to use his PC. I was under the assumption that everything would work properly. I had the GPU drivers, Ninite, Visual Studio, some benchmarks (superposition, heaven, valley), and some other stuff on there that he might need. Since I wanted to make sure that, if any troubles arose, I would have my own computer to find a solution to them. I brought my laptop with, which really came in handy. The GPU drivers installed properly. I thought we would have no issues. I looked at the network on the taskbar… and that’s the start of the problems. I thought “ok, so it needs the drivers”. 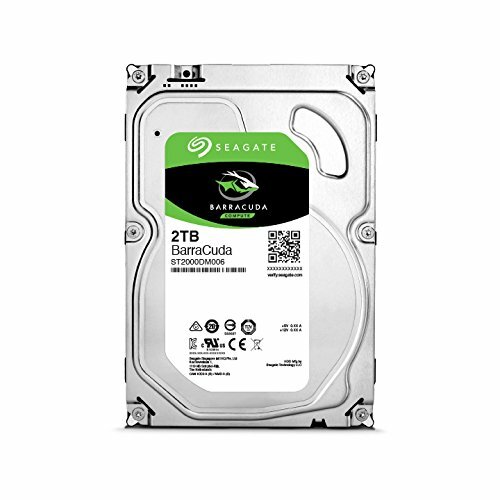 I downloaded the newest drivers from Gigabyte’s website, put them on my flash drive, and moved it over to the freshly built computer. I then installed both the WiFi and Bluetooth drivers. They both said “success” so I thought “ok, now it’ll work”. Wrong. It still wasn’t working. I opened up Device Manager, and played a guessing game at what exact Intel card it was. After a few reboots (and Automatic Repair saying “your computer didn’t start right”) I called it quits on that install. Booted up the same media again, installed it again, and the same issue. So I thought “alright, so then I’ll tether my phone’s connection to the computer and see if it installs on its own”. Wrong again. My first attempt at tethering it actually made my phone crash (alarm bells should’ve been ringing in my head at this point, they didn’t) so I rebooted it, tried it again, and I got a semi-successful result. It did detect that there was an internet connection, it detected my phone, so I thought that I would be able to just open Ninite or Edge to install at least Chrome or another program to make sure that something would install. Ninite refused to open. Edge crashed before it could even load up its home page. So I’m racking my brain to see what I did wrong that would make this system unable to use the WiFi card. While I’m busy with that, Sam is working on moving the Gigabyte card to the bottom slot to see if that would fix the issue. We remove it, and then install it to the bottom slot, boot it up, and once again we are faced with the same issue. It’s now 2:45PM. 15 minutes before Sam’s dad would be there to pick us up. Remember earlier, at 9 when Sam had just gotten there? Remember how we reflashed his USB with an ISO that I had on my computer? Well… that was an old version of Windows 10. According to File Explorer, I made that ISO on December 23, 2015. A whole year before any development would be done on making Ryzen work with Windows. We were running Windows 10 pre-Anniversary Update. So that’s why nothing was working. We had also tried installing chipset drivers, which refused to start. So this is what ended up happening. I download the ISO from Microsoft’s website (no key required thankfully) and Rufus, and that took about 10 minutes on its own. I copy them from my downloads folder to my flash drive, unplug the flash drive when it finishes, and then plug it into Rocko’s computer, only to find that the ISO had disappeared. It had disappeared from both my downloads folder and it was nonexistent on the flash drive. Downloaded the ISO again, another 10 minutes go by and I give the flash drive an extra minute to cool down. It stayed in my Downloads folder (whew) but it didn’t stay in my flash drive. Ugh. Copy it again, give it an extra few minutes, and we’re good to go. Rufus works on the computer in its half-broken state, and the flash is successful. Meanwhile, Sam’s dad had arrived, and after about 10 minutes of waiting, he decided to go to the gas station to give us 20 minutes to finish up. It took us about that time to install Windows successfully. I gave him his flash drive, and in an attempt to at least finish it properly, I had told them that if we weren’t done in 20 minutes, that Sam could go and I’d stay there so we could finish the build properly. Rocko’s grandparents had agreed that if we needed a ride home that they’d gladly take us home, so that was how I would be able to go. Sam left with his flash drive in hand and I continued on. I installed the NVIDIA drivers again, and then I proceeded with the rest of the software installs as normal. Everything was fine for the most part, and we talked for a little bit while things were installing. The rest of this was just us messing around. We also got Corsair Link installed for his mouse, and we messed around with that a little bit, and that’s about all that was left to do. Sam had texted me at about 4:30 to see if I was still there, since he had left his sister’s camera there (he wanted some high quality pictures of this build, even though none of the pictures he took are being used). I found it, went home, and he picked it up from me on Thursday. Now, there are a few things I left out from this. I decided to overclock the RAM to its XMP profile of 2933MHz (no 3000MHz memory dividers on Ryzen) while we were testing it outside of the case. After I saved that change in the BIOS, the computer was in a boot loop. That was fine, since I did a little CMOS reset right afterwards. It POSTed perfectly fine after that. I had also forgotten to check his BIOS version before I left, so that hasn’t been updated yet. After taking a look at the build pictures, I can see he’s on the oldest BIOS available for the board. I’ll walk him through the process remotely later on. Another thing I forgot to do was run the benchmarks that we installed. He ran Superposition and Fire Strike on his own, so those results are in the pictures. I didn’t get that many pictures of this build because it would have taken way too long to do so. I also didn’t get that much footage of it for a video, but I wasn’t planning on a time-lapse video of this build anyway. Mmmm Ryzen. I need one of these for my own PC. I like how this uses PGA instead of LGA. 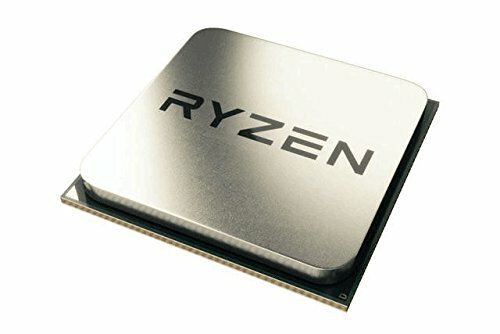 AMD really improved their CPUs with Ryzen, and it shows in every benchmark. I don’t really need to go too in depth about the performance, because there are more than enough reviews on these in both video and written form. Just don’t use an extremely outdated version of Windows 10 and it’ll be perfectly fine. Also don’t be tomtomj2. The Wraith Spire included with this CPU is fantastic too. It looks amazing, cools perfectly fine, and is really silent, even under load. I just wish it was the RGB Spire like the 1700 has. For B350, this board is great! Ever since launch it would appear that ASRock has kept this board’s BIOS up to date with the latest stability improvements available for Ryzen, easily making this board one that I’d highly recommend on a budget. It also has a 5050 RGB LED header at the top right, just next to the AMD RGB header for the RGB Spire. It’s a white board, but it’s not too white. 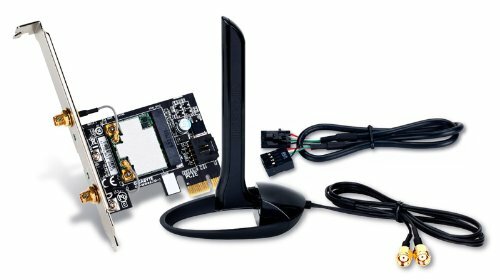 To me, this board is very sleek and wouldn’t look bad in a lot of builds. The cheapest kit of DDR4 we could find that was fast(er). In the future, I might go back to his place and do a BIOS update and overclock this for him. During the actual build, I was unable to for whatever reason, but it probably has to do with me not updating the BIOS to P2.50. It’s not like I can just go over there any day, since it’s kind of far away from me. Every day since we’ve built it, he can’t stop being amazed at how fast this is. Before this, he used a MacBook that wasn’t nearly as fast as it. It looks really nice, too. I wish I could’ve done a few more things before I had to leave, because I could’ve run CrystalDiskMark to see how fast this truly is. I wish I could get one of these for myself. Despite my previous experience with a GTX 950, I really want one of these reference 980s. They look great (much better than the newer edgy 10 series reference cards IMO) and it’s nice and quiet. According to Rocko, even while playing games or running benchmarks he struggles to hear any noise coming from the PC. For reference, it was easier to hear a really noisy fridge 20 feet away than it was to hear a blower-style GPU 2 feet away. Temperatures reached a maximum of 81C while running Superposition at 1080p Extreme. I absolutely love this case. I need one of these for the next time I upgrade. It looks amazing and makes for a great and easy build. It has cable management grommets so you don’t see all the cable mess from behind the motherboard tray, and rather just the cables you need to see. There are holes at the bottom of the tray to route the front panel and other cables into so it looks really clean. All the storage being hidden from view makes it look great when looking inside the case. I have only a few gripes about this case: the some of the screws don’t go in properly. The SSD tray, for instance, is really hard to screw back in for some reason. The power supply was also really hard to put in, because the panel that comes off that you screw it into didn’t go back in properly. That’s about all I have for complaints about this case. The bottom dust filter comes out nicely in front rather in the rear, so it isn’t a pain to clean. Cable management was also extremely easy thanks to the 3 included Velcro straps. It was worth the $80. The classic G2. It’s what so many recommend, along with the newer G3 and others that perform about the same. It looks great, full modularity is nice, and the cables don’t look horrendous. The only issue is that it’s really long for this case. If you’re going with this case, consider something shorter, like the G3. There’s only about an inch of room for cables to be stuck in, but we didn’t have many to begin with, so it was fine. We were originally concerned that the adapter wasn’t working because of my stupidity, but otherwise this adapter was completely fine. It has Bluetooth built in, so that’s a nice plus. I don’t know if he’ll ever actually need it, but either way, according to him, the WiFi speeds are great compared to his old MacBook. 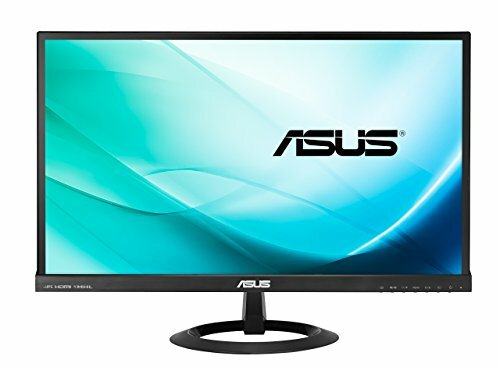 Nice and cheap 1080p monitor. Came with all the different cables: HDMI, DVI, and VGA. I wish my $250 monitors came with at least one of the digital cables… I blame HP for skimping. This monitor also is IPS, and it’s 23” which is just right according to him. While we were planning out the final parts of the build, Sam wanted to see if Rocko would’ve wanted a mechanical keyboard since there was still plenty of room in the budget for one. Rocko decided that Brown switches would be the best for him, so that’s what we ended up getting with this keyboard. It’s a lot quieter than my Outemu Blue switch keyboard (Redragon K552) and it’s also a bit mushier. It’s much better for people who don’t want to disturb everyone around them. It also comes with a few other controls, such as a volume wheel. Very nice keyboard overall. ARGEEBEE!! You can control the lighting effects of the logo area and the top of the mouse (Corsair Link), where the scroll wheel is. It’s cool I guess. Apparently this also has the best sensor on the market right now. I rather dislike it, but it would be fine if I turned down the DPI a bit. Comment before moderator approval lol. Also the build is awesome, i did watch the youtube video on it already. Congrats on the excellent description. I had a lot of fun building with you, and I'm very glad you were there. Through the build, I began to realize just how much better at this you are than me. I messed up pretty much everything you had me do, and you got it all right the first time. You really are a skilled builder, and I have to say, photographer. 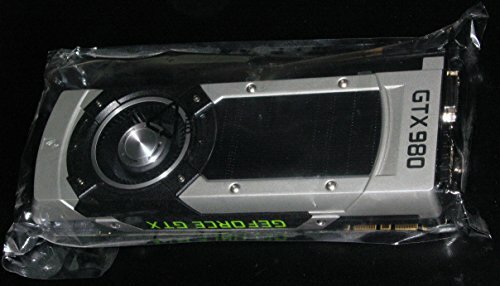 PS: I have to say, we should get together again and do some overclocking on this thing. The building was a lot of fun, but we have to get that firestrike score above 12k! Nice build, love the story! This is an awesome build, and I really loved the story! Well done! Hey! Your build looks great, sounds like you had a great time building it as well, if not a little stressful lol. I did have a problem with clocking it that high (it created a boot loop), however I'm leaning towards it being that the BIOS wasn't the version with AGESA 1.0.0.6 (P2.50). I'll be back over there sometime to do some updates and I'll see if I can get it working. What is it clocked at now that doesn't boot loop it? Are you able to use both RAM sticks? (I've seen some people say it only boots with one stick depending on the config). I can use both sticks. It's currently clocked at 2133MHz. I realize that this is 4 months late and you have probably forgotten all about this but Rocko is his first name, the rocko[hislastname] thing meant that Jack was bleeping out the guy's last name. GPU temp seems to be high...is it because it's placed on the 2nd bracket rather than the first due to the network adapter? Or does that make no difference? That's typical for reference/blower style cards. It's high in comparison to open air cards because it dissipates heat to the back IO, rather than all around the card in the case. +1 Great build and story! Towards the end when you started having issues, I was in suspense during the end there and hoping that you would be able to finish before you had to leave hahaha... BTW are you considering on doing a Ryzen build for yourself? I’m sorry, this isn’t my build and I didn’t take a measurement when I was there building it.